I have always heard that seven is a lucky number. It seems to be true for J.B. Pennington’s number seven, Shea Putman. She set a national and AHSAA record last week hitting seven home runs in seven consecutive at bats. Putman hit her first three home runs March 7 in three plate appearances at Hanceville. The remaining homeruns occurred at Pennington’s home field. She hit three homers against Good Hope and then finished her streak with a homer against Locust Fork. The previous national record was five home runs in consecutive plate appearances. Lady Tigers’ head coach, Jeff Gibbs, said after many years of coaching he has never experienced an event like “seven-for-seven” and that the team, school, and community are connected for life because of it. Putman has bigger plans for her team. Gibbs said, “If you were to ask Putman her main goal she would tell you Montgomery. 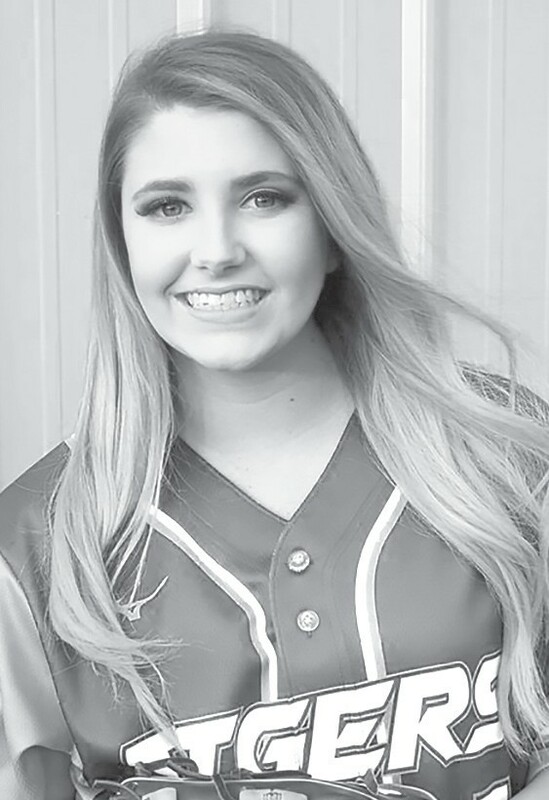 She is one of seven seniors that have played softball together for years.” Currently, the Lady Tigers are 8-0 and ranked fourth in class 3A. Putman has committed to play for Snead State next year. Her parents are Sundra Martin and Tracy Putman.